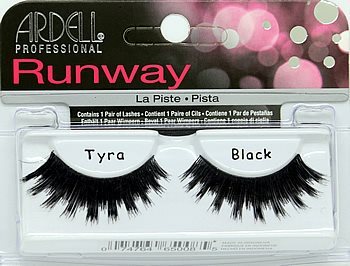 Runway Tyra Lashes are part of Ardell's high-end cosmetic grade Runway collection lashes. Tyra lashes are full and voluminous, with a dramatically playful "chunk" design. Each package contains 1 pair of 100% human hair lashes. Catch these lashes on fashion show runways worn by high fashion models to create and compliment dramatic and beautiful designer looks. Preferred by makeup artists and professionals who style these shows. 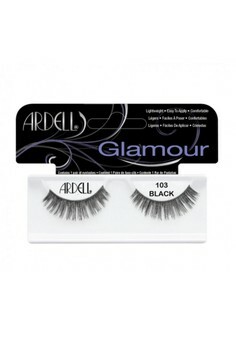 Ardell Runway lashes have been making a splash among professionals for years, and now they're available for everyone! Used by make-up artists on celebrities and fashion models alike, the Runway Collection is full of alluring, bold, styles perfect for the confident consumer in pursuit of runway worthy lashes. I bought a pair in February and I love them! They are full and dramatic as if you were on the runway yourself! I'm buying extra pairs for me and my friends! Must have!